We're very pleased to have teamed up with Universal Pictures and Girls On Tops to offer you the chance to win some 'hella tight' Greta Gerwig / Lady Bird prizes, including a poster signed by Greta and a special, limited edition Greta Gerwig t-shirt from Girls on Tops x Little White Lies. 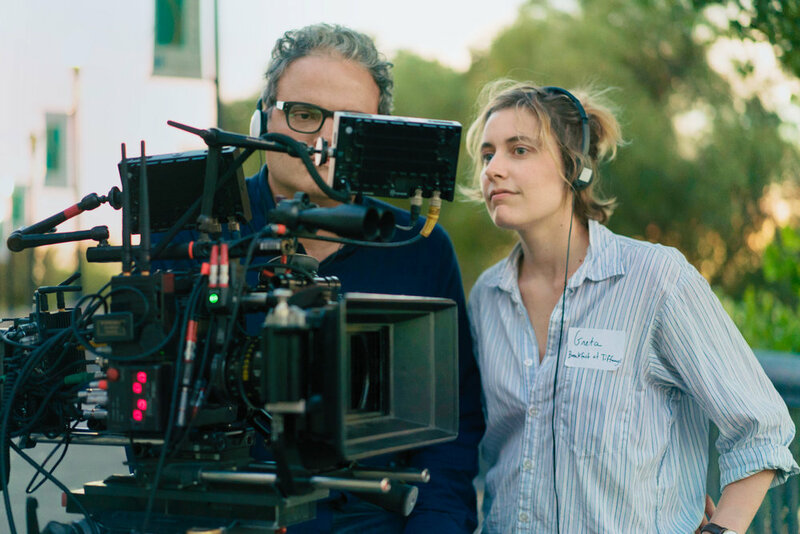 Indie film goddess Greta Gerwig makes her solo directorial debut with this 'hella tight' noughties throwback coming of age comedy - a sweet and wistful ode to mothers and daughters, growing pains, and the ups and downs of small-town adolescence. 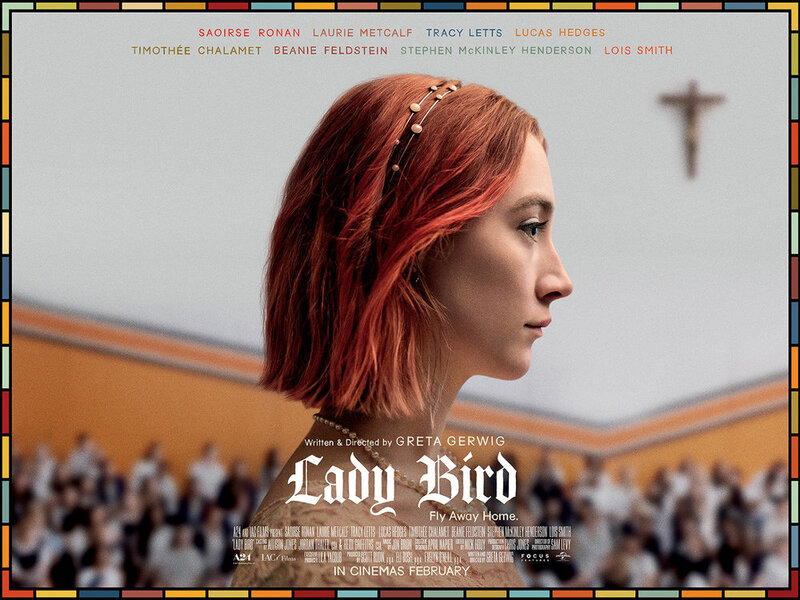 Blessed with five Oscar nominations (including Best Picture, Best Director and Best Actress nods for Saoirse Ronan and Laurie Metcalf), Lady Bird truly spreads her wings and flies. 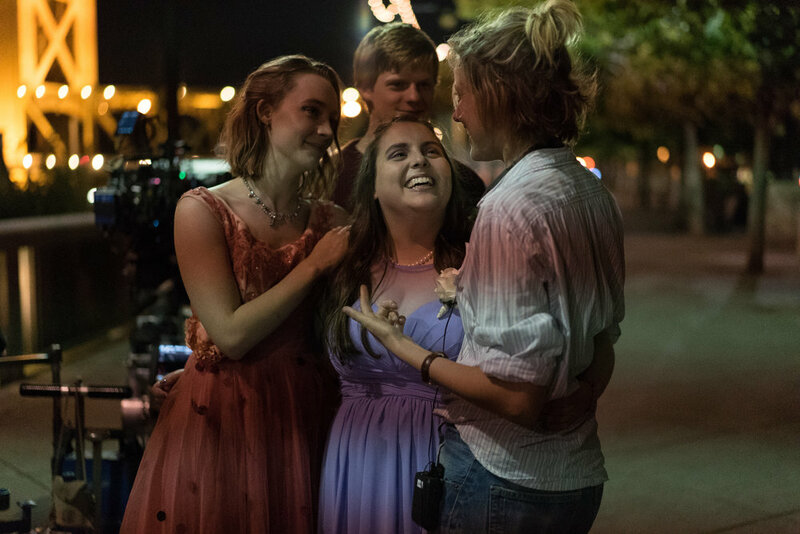 Take a look at these photographs from the set of Lady Bird, which was filmed on location in Sacramento, California, Greta's home town. Having come up through the American independent film movement of the early-mid '00s commonly known as 'mumblecore', Greta Gerwig began her career as an actor in a number of low budget films that would typically revolve around the complicated love lives of self-involved, twentysomething hipsters living in New York City. During this period of her career, she collaborated with a string of up and coming filmmakers such as the Duplass Brothers and Andrew Bujalski, but perhaps her most prolific partnership was with Joe Swanberg with whom she co-wrote and co-directed two films, Hannah Takes the Stairs (2007) and Nights and Weekends (2008). Later in her career, Gerwig struck up a creative partnership with Noah Baumbach, starring alongside Ben Stiller in his 2010 film Greenberg in what might be considered her breakout role. In the years since, Greta's star has grown ever brighter and she now stands as something of a cult phenomenon. Screening at Soho and Bloombsury from 16 February, before a general release on 23 February, Greta Gerwig's solo director debut Lady Bird announces if not a new voice in film (we've known her for a long time) then a familiar, warm and distinct filmmaker. Filmed at Curzon Mayfair, the Oscar-nominated director Greta Gerwig and star of Lady Bird, Saoirse Ronan, offer inspirational insights about making one of the best-reviewed films ever, being a debut female filmmaker, and behind-the-scenes anecdotes. Stream the Q&A for free on Curzon Home Cinema from Friday 16 February.